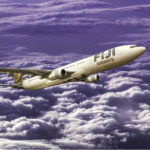 San Francisco Airport (SFO) recently celebrated the inauguration of new non-stop twice weekly flights to Fiji aboard Fiji Airways A330-220 aircraft with full-service in both Economy and Business Class. Service for both classes is inclusive of checked baggage, in-flight entertainment, meals and alcoholic beverages. 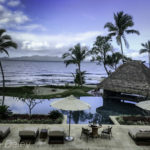 Voted Best Airline in the South Pacific by Global Traveler, Fiji Airways flights from San Francisco to Nadi, Fiji begin June 16th, 2016 and depart Sundays and Thursdays. The Fiji Airways seasonal service also offers travelers the opportunity to extend their journey by flying on to Australia and/or New Zealand after a sybaritic stay in Fiji. In a classic “David and Goliath” epic event, the Fiji rugby team trounced Britain, its one-time colonial ruler. The stunning 43-7 rout gives Fiji the Gold Medal in the inaugural men’s rugby sevens Olympic competition. The victory is even more stunning when you consider the limited budget constraints under which this tiny island nation comported itself. If you compare the millions of dollars spent by rugby powerhouse nations like New Zealand, England, France and South Africa to Fiji’s shoestring budget and its small population of just 900,000, the victory is surely the stuff of legends.